Christopher Weiss, who was shot last week while on a club ride, found himself in the middle of another shooting Saturday morning. 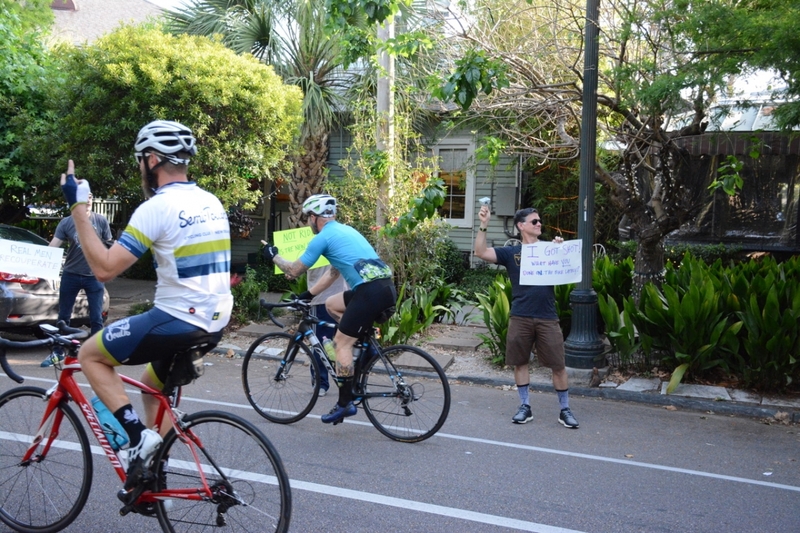 But this time it was cameras that were firing at him, as Chris and several other of his cycling buddies who’ve been forced off the bike due to injury surprised their fellow club members on Esplanade Avenue with a little support for the weekly club ride. Chris Weiss, bullet in tow, was lucky to be standing with a sign sarcastically encouraging his fellow cyclists to do their best on the bike. This week’s ride was called the ‘Bullet Proof Club Ride’, marking the club’s efforts to support Chris, and to stand against cyclist harassment and the forces that dissuade people from biking. “We are out here to show support to the club that, despite some suggestions to the contrary, will ride the traditional route that I got shot on. If I had been able, I would have been there as well, bullet in my back and all,“ said Weiss. The tone among this group and other cycling groups in the city following last weeks shooting is one of perseverance. As founding member of the Semi-Tough Cycling Club, Townsend Myers, said in his post on May 15, 2017 “abandon streets to your fears and stereotypes and you lose. Demand to use them without fear or stereotype and we all win.“ The riders see this no differently than any other social injustice and have called upon city officials to address the problem. 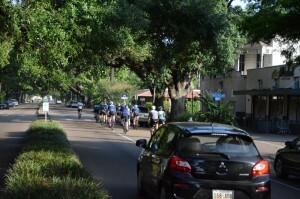 There are many obstacles for bicyclists in New Orleans and around the United States. 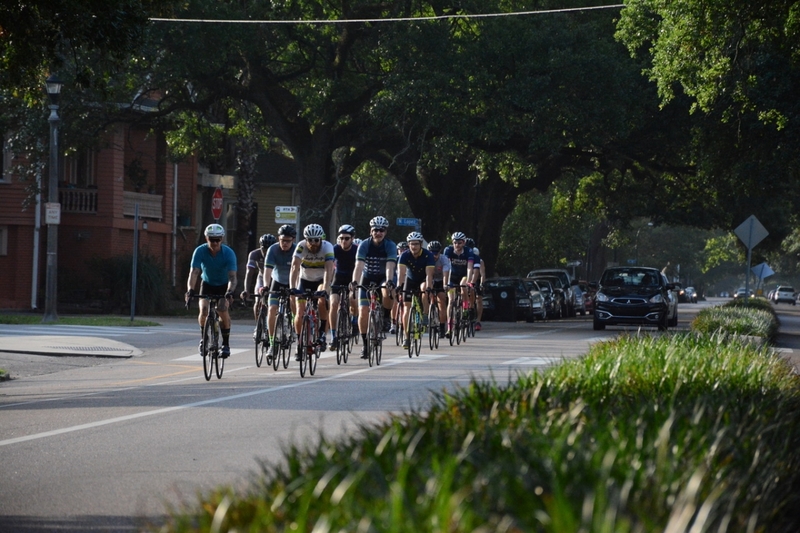 Other than the inherent risks of riding a bicycle and the interactions with vehicles on the roadway, for several years now it has appeared that cyclists in New Orleans have been targeted in malicious ways. In 2014 it was baseball bat wielding thugs. More recently, paintball attacks have been in the spotlight. This isn’t a new problem. 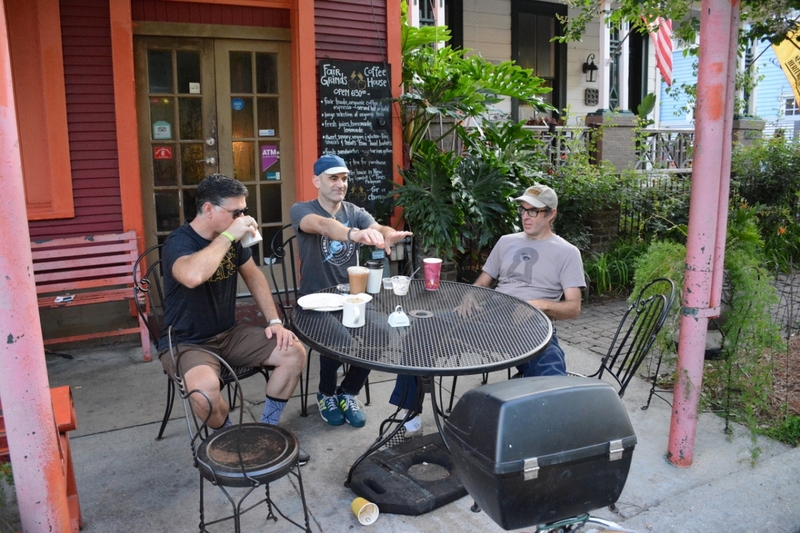 In 2015 the topic made the news when a cyclist in Bywater was shot with paintballs in drive by fashion from a vehicle that was all caught on a security camera. The paintball attacks continued into 2016 and 2017. There were the arrests of 4 people last week associated with a paintball attack on a father and his daughter, but who knows if they are the same group that engaged in the attacks on cyclists in the past. 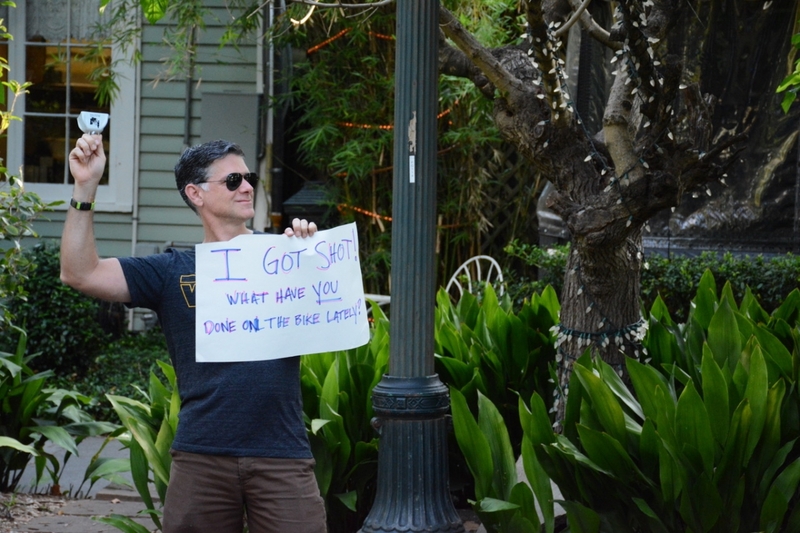 And, of course now there is the attack on Chris, who was shot with a 0.22 caliber bullet while on a club ride in New Orleans East last week. So with the club’s typical light-hearted approach, Chris and his friends took to the streets with signs, cowbells and cameras to keep the spotlight on the issue, and of course to humor the group as they rode down the beautiful oak-liked stretch of Esplanade Avenue that marks the proper start of the club’s weekly ride through the city. One sign in particular – “NOT Riding is the New Riding“ – pokes fun at the injured rider’s frustrations with their injuries and their solidarity with those that ride. 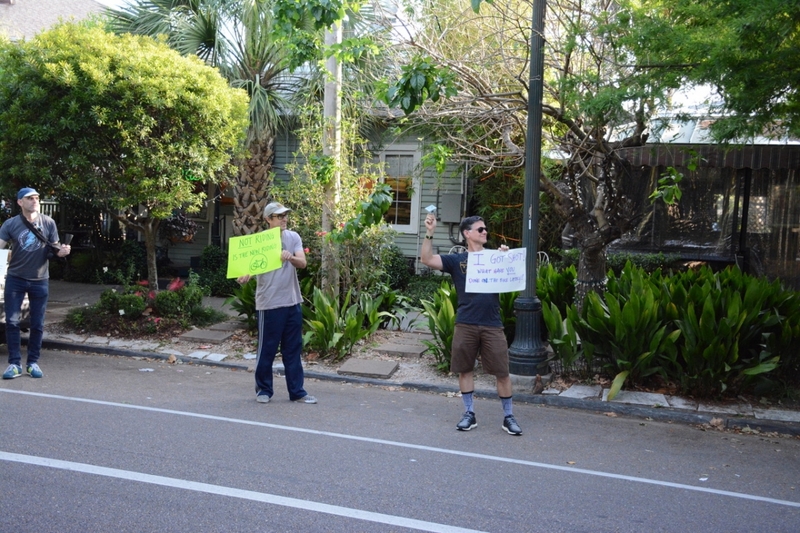 “Real Men Recouperate“ reads another sign, purposefully misspelled to represent the “coup” on the status quo. Yesterday I visited my friend Chris Weiss in the hospital. As a long-time cyclist and founder of the Semi-Tough Cycling Club, I’ve visited a number of injured cyclists in the hospital over the years. Injury is a normal part riding and racing, and part of the risk we take when we get on our bikes. But Chris’ injury was different. 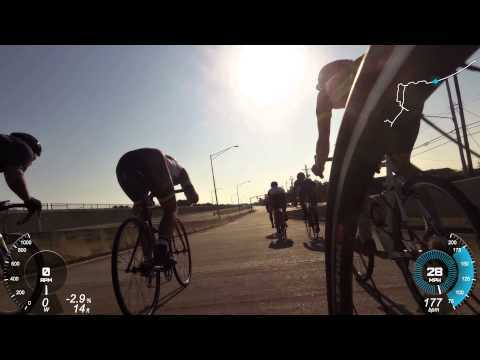 He suffered a gunshot wound on our club ride. That is not something any cyclist anywhere should be willing to accept as normal. Here’s what we know: Chris was hit by a small caliber bullet in his back as the group rode home from Chef Highway to the lakefront via Bullard Avenue in New Orleans East. We do not as yet know from where the bullet came, whether Chris or the group of cyclists he was with were the intended targets, or whether this was a stray bullet that found an unlucky home. We presume that Chris was not personally targeted, but the recent spate of paintball attacks on Lake Shore Drive provides strong support to the theory that the group at large may have been targeted – and that is a very disturbing prospect. The club took a very proactive posture with the media, and immediately issued a press release about the shooting. The story was picked up and disseminated by the media. The NOPD did not immediately get involved due to some mis-information about the nature of the shooting. Initial reports from EMS led the NOPD to conclude that Chris had been shot with a BB gun, and the NOPD did not classify this as a gunshot until almost 9 hours after the fact when they arrived to interview Chris in the hospital where the presence of a bullet lodged in Chris’ back near his spine was confirmed. 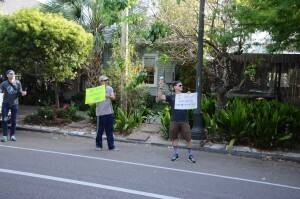 Now that the NOPD is aware of the facts, the club hopes and expects that they will help Chris, the club, and the entire community of cyclists that depend on access to the outdoors for recreation and training to get to the bottom of what happened here, and take steps to keep this from ever happening again. If cyclists are being targeted by paintball guns – and now real guns – we have to find a solution this problem. Chris is lucky (as of 11pm Saturday he is out of the hospital, but he will carry a bullet in his back as a keepsake of the day’s events), but as he said when I spoke to him in his hospital bed, “what’s next?” – and unfortunately, what’s next is that someone like Chris is not as lucky next time. Someone did this to Chris, intentionally or accidentally, and we all deserve the NOPD’s best efforts to find out who and why. But we also need to take a step back before we start deciding who the perpetrator of this crime is. Many among us have been quick to demonize the city of New Orleans as a whole – to write our home off as crime-ridden mess. Some have more specifically said that the “perpetrator” of this crime is New Orleans East – “the ghetto”, the “should-be-written-off wasteland” – and have vowed that they won’t ride the route clubs have been riding for decades anymore because of this. I think that this response is both unfair and over-simplistic. Did we vow to stop riding on Lakeshore Drive when the first or the second of our fellow club members were attacked with paintballs out there? Did we insist on avoiding Uptown when the school mom in the SUV buzzed and ran us off the road on Nashville Avenue? 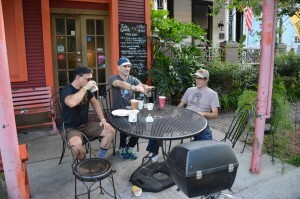 Did we boycott Chef Highway after Frank Guinn was run over and killed? The answer is “No, we didn’t”. And why not? Because like my friend Pete Christian said on Facebook, the problem wasn’t Lake Shore Drive, Uptown or Chef Highway in those cases, or New Orleans East in this case – the problem is the people, not the places. And mercifully, though the problems are serious, it is still only a very small fraction of people who are the problem. Yes, this incident involved a gun – and that’s different. But, this isn’t about New Orleans East, this is about the thoughtless individual(s) who did this. Our club rides, and club rides for decades before have taken this route. The people of New Orleans East have been just as friendly as any other neighborhood in this city. The Giro was back out on the route this morning without incident. Of course, as cyclists we can be singled out in unfortunate encounters with motorists and the public almost anywhere, but certainly no more in New Orleans East than any other place. To me it seems the appropriate response to this is not to blame the city, or to boycott the neighborhood, but to demand that the people who did this to Chris (and more broadly ALL the people who harass and hurt cyclists) be brought to justice. 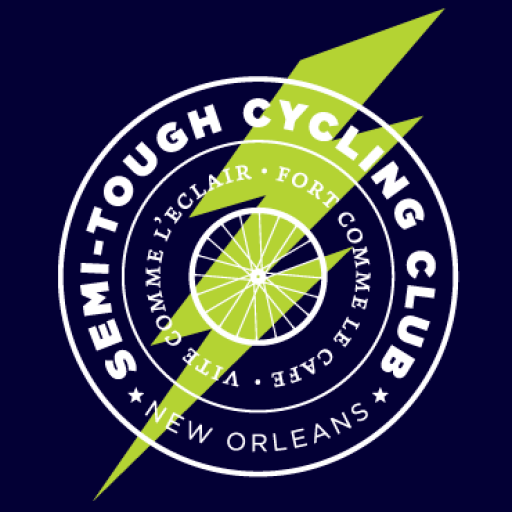 Rather than vocalizing the stereotype that New Orleans East is a dangerous place that you will now avoid on your bike – and ruining what has been your club ride for years in the process – vocalize your demand that the police investigate this crime and do something to make it right. 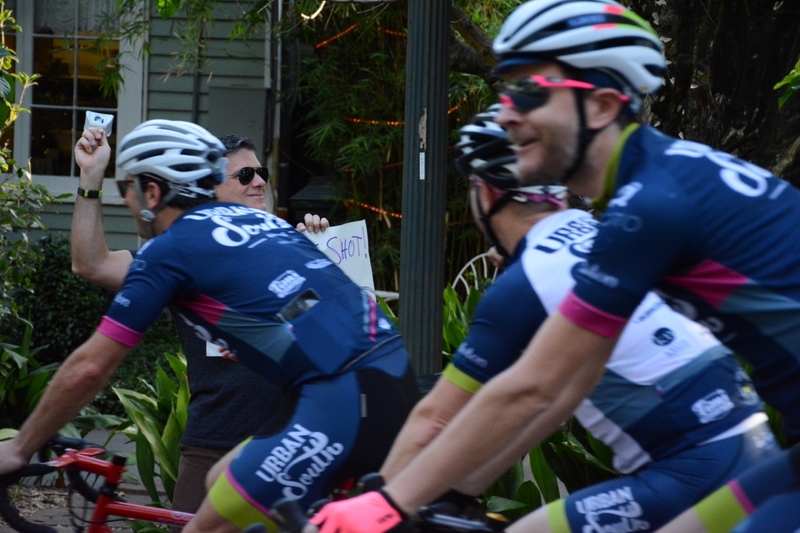 The club will be working with Bike Law Louisiana and Bike Easy to meet with the New Orleans Police Department and city leaders to affect change, and as president of this club, I hope you will support those efforts. 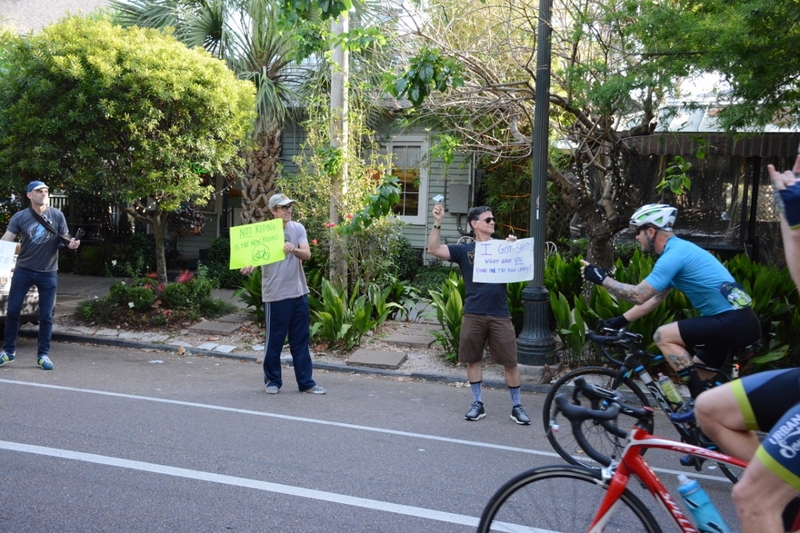 I respect your individual choice to react to these events however you choose, but we deserve to use the streets of New Orleans – all the neighborhoods of New Orleans – without getting harassed or injured, and I hope you will join me and your many friends as we continue our club rides as usual. Abandon streets to your fears and stereotypes and you lose. Demand to use them without fear or stereotype and we all win.